*A. Top 10 NATION Cattle inventory 2017*. 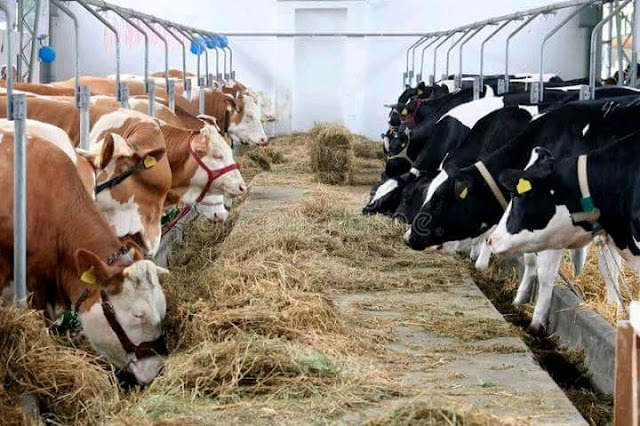 Nigeria is not found among the top 20 nations in the global cattle business. None of the top Cattle nations are practicing Cattle Colonies or primitive Cattle grazing. All the top Cattle nations are applying modern technology and ranching to maximise optimum profit from the Cattle businesses. None of these top nations earning billions of dollars annually from the Cattle businesses condone the killing of their Citizens in the place of Cattle business. How come, Nigeria that doesn't earn a single dollar from Cattle export has continued to condone the killing of its Citizens on behalf of free Cattle grazing? How come the present government has declared war against the villagers and the farmers by not arresting the perpetrators of ethnic cleansing going on in the nation? Are these Cattle grazing about all the nooks and crannies of the country not owned by wealthy and influential Nigeria ? Does it enter into the skull of these influential people that there are billions of dollars to be MADE by adopting global ranching best practices? The government rather than declaring war against POVERTY, it has declared WAR AGAINST ITS OWN PEOPLE by continually fostering primitive open grazing, grazing reserves or Cattle Colonies upon Nigerians. The 2019 elections is just by the corner..... Politicians have short memories. But the people that have been butchered, terrorisized, devastated, betrayed and humiliated along the length & breadth of the nation would not forget. The villagers because of the permanent scars left by the killer terrorist will remember and do the right thing. NIGERIANS in DIASPORA would not forget the precious lives daily slaughtered because of CATTLE. The most precious thing given to us by GOD ALMIGHTY is human life. One Nigerian life is worth more than the whole Cattle in the world. When a government fails to realise this basic TRUTH, then it is high time for the Citizens to galvanize themselves and do the proper thing in 2019. VOTE IN CREDIBLE NIGERIANS WITH CREDIBLE RECORDS, THAT CAN DELIVER THE PEOPLE FROM POVERTY - FROM THE COUNCILLORSHIP TO THE PRESIDENCY IN 2019.